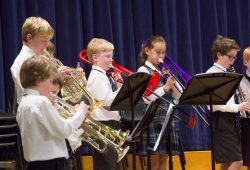 The school has a lively and innovative approach to music education through Cranleigh Music 7-18, which links Cranleigh Prep School and Cranleigh School within a single strategic, administrative and performance structure. This gives unparalleled opportunities to collaborate musically and to arrange activities according to the needs of the individual children within it, using the wonderful resource of top class professionals working at all levels. 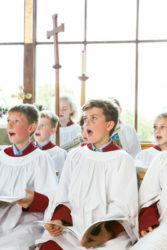 Cranleigh Music has eleven permanent members of its management team, operating at both the Senior and Prep Schools across the entire 7-18 range, in addition to over fifty visiting instrumental and vocal specialists who deliver individual lessons and run ensembles. All children have the opportunity to learn at least one instrument at school and many choose to take external exams through ABRSM and Trinity Guildhall. 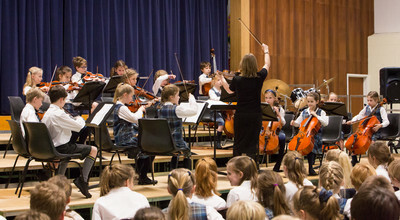 Academic music is a curriculum subject taught at all age groups and involves performing, composing, listening and discussion, using a wide variety of musical styles and incorporating music theory. In addition to lessons, there is a vibrant programme of concerts, services, workshops and competitions to encourage performing and give opportunities to hear other musicians at work. There is also an external Concert Series of professional concerts open to children and parents. A considerable ensemble programme enables children to play together according to their own level of experience. This includes a range of orchestras and bands, with the addition of an extensive chamber music programme. Singing is highly valued at Cranleigh Prep and winning a place in the excellent Chapel Choir is highly prized and respected at school. Rehearsals for these groups take place each week during term time. Group music-making really helps players to develop their skills of ensemble playing, which in turn encourages greater personal progress and unlocks the joy of making music. Please click here for details of the music scholarships on offer. Please click here for the music tuition request form.